Pre-prosthetic orthodontic care involves close coordination with your general dentist and periodontist or oral surgeon to treat conditions where teeth need to be moved in order to achieve a better overall outcome for crowns, bridges, implants or removable dentures. Dr. G is the only orthodontist in Bakersfield with extensive experience in reconstructive and cosmetic dentistry prior to specializing in orthodontics. If your overall restorative treatment plan includes implants or replacement of multiple teeth, Dr. G will ensure that your teeth are in the right positions to achieve the best long-term functional and esthetic outcome. Much like building a house, building a beautiful and long-lasting smile with restorative and reconstructive dentistry requires a solid foundation. In many cases, your dentist cannot place an implant, crown, or bridge until the surrounding teeth are in a better position. If teeth are too crooked, crowded or out of alignment, they may not be able to fit a dental restoration without compromising results. 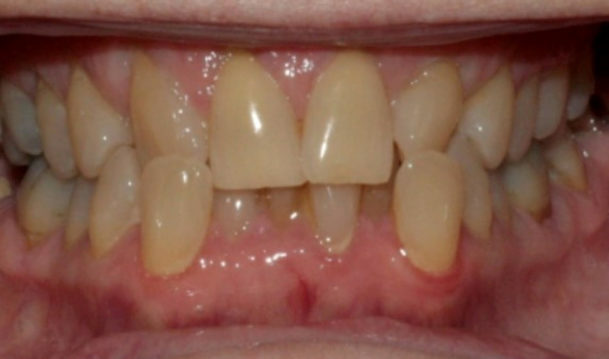 Poorly aligned bites can also put your restorative work or prosthetic work at risk of premature wear and tear, fracturing, or failing. If you’re considering extensive restorative dental work with dental implants or multiple crowns and bridges, your dentist should always have an orthodontist on your dental team to make sure your teeth are in the best possible positions for your new smile. Pre-prosthetic care requires close coordination of your dental treatment between your orthodontist, general dentist, and periodontist or oral surgeon to create a comprehensive plan for your smile. After your initial consultation, Dr. G will meet with your general dentist and periodontist or oral surgeon to discuss your findings and create a customized treatment plan to keep your smile on track for all dental and orthodontic procedures. He will then meet with you a second time to discuss expectations, possible complications and scheduling coordination to make sure you achieve your smile goals as quickly and efficiently as possible before starting treatment. 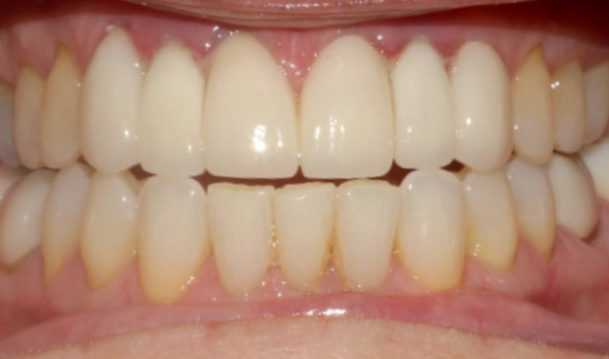 Dr. G will use braces or clear aligners to stabilize and reserve space for replacement teeth, and even provide temporary prosthetics to make sure your smile looks its best through your restorative journey. When your treatment is finished. Dr. G will provide retainers to protect your investment. After much debate and many consultations I couldn't find a place that could provide an affordable treatment and an exceptional treatment plan like Dr.G. After investing in a ortho years 7 years ago with another doctor I realized having quality work was worth my time and investment. Super happy with my 2 month progress and as well as his his amazing team. Can't wait to share my final results.